You’ve made it halfway through the work week! 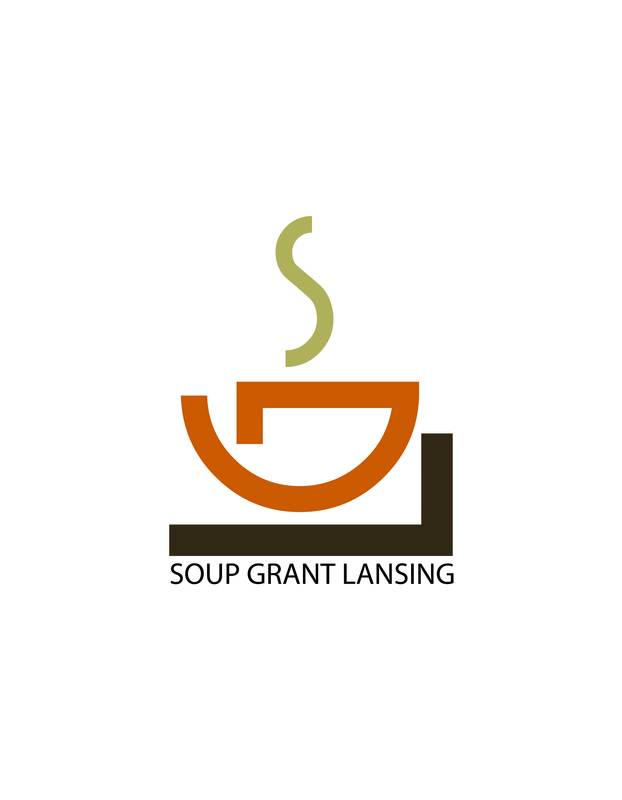 And for that, we’ll reward you with our third entry in the SoupGrant logo redesign contest! Today’s entry comes from Sarah Snyder of Lansing. About the designer: I am a Lansing native and am in my final semester of Graphic Design at LCC. I am currently an intern at the Old Town Commercial Association & working as a graphic designer at a real estate company. 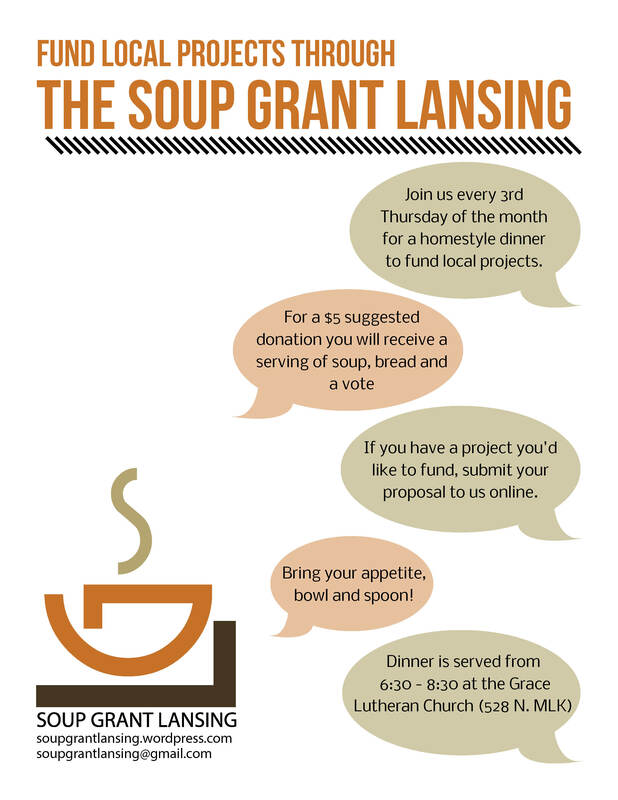 I love local projects and am excited to be contributing to the SGL! About the submission: I wanted to portray a fun yet professional image for the SGL. I tried to keep consistent with clean lines and colors, while maintaining a playful image. I went with a warm color scheme to convey and imitate soup. I used a san serif font in the logo to give the design a professional yet informal feel, since the SGL emphasizes the “homestyle” atmosphere. If you’d like to connect with Sarah, check out her website to see more of her work! See you on the 20th, everyone!